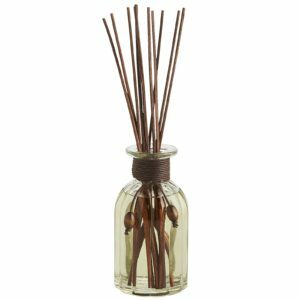 I remember prior to using essential oils and diffusers I use to love the Reed Diffusers. They were always so pretty and did smell amazing. They make amazing gifts as well! The best part is how much fun you can have dressing up the bottles and personalizing them for yourself or friends and family. Have fun finding your bottles. All you need is a bottle with a narrow opening. Head to TJ Max, Home Goods, a thrift store, a dollar store. You can find small bottles like these almost anywhere. I love getting different colored glass! Then have some fun with it, you can add small shells or beads to the inside of the bottle, wrap some ribbon or yarn around the neck of the bottle. Pick out your Reed's next. You can find a large selection of reed's online, even Amazon! I love all of the different kinds they have. So what do you do next? Add 1/4 cup of oil to glass container. In a small glass bowl add rubbing alcohol or vodka followed by essential oil (the alcohol is added to help the oils travel up the reeds). Use one of the reeds to stir the combination and then pour it into the glass jar. Add in the reeds and fan them out. Have fun! And for your next friends birthday you can make them a sweet personalized gift!